What’s the number one thing on the mind of kids over the summer? It’s not taking care of your teeth. 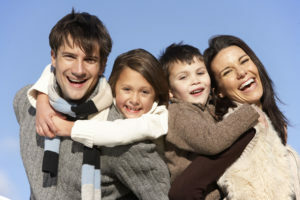 County Dental cares about the overall health and wellness of your family. We share some tips below how to incorporate a dental care routine into your child’s summer of adventures with friends in family. Make a checklist for each child of daily responsibilities and have it easily accessible to them. Brush and floss together as a family twice a day. Pack a travel dental care kit per child with a toothbrush, floss and toothpaste. Stay away from sugary foods and drinks as much as possible. Schedule back-to-school checkups and cleanings as soon as possible. Protect your child’s teeth with the proper sports protective gear. Stock your home with healthy snacks. We at County Dental would love to meet you! We are always happy to welcome new patients. Schedule your next dental appointment online. Don’t forget to ask us about our free teeth whitening options with your first appointment before you schedule your visit. 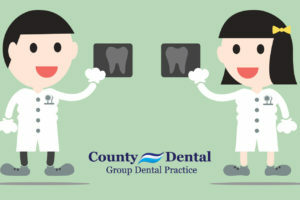 Visit the link below to get started http://www.countydental.com. County Dental X-Rays: What Do They Detect? Can I Go To the Dentist if I’m Pregnant?